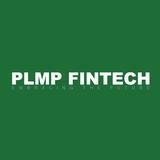 At PLMPFintech we strive to be at the forefront of the industry. Since 2017, we have established the first Blockchain Technology Centre in S'pore as a complete ecosystem that incl. consultancy, OTC and the biggest development & training hub in the region!